This is a darling collection of 4 Christmas Snow Girl and Boy Pictures! 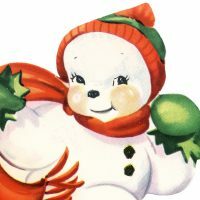 These vintage images include 3 Christmas Snow Girl Pictures and 1 Snow Boy. Each one of these precious children are wearing white snow suits trimmed with white fur. Some of these have been on the blog for a bit and have been updated with higher resolution scans and one is a new addition to the site. These all coordinate nicely together and would be fun to use in a variety of Christmas Craft Projects and Holiday Designs. These are all Antique Postcard scans from my collection. 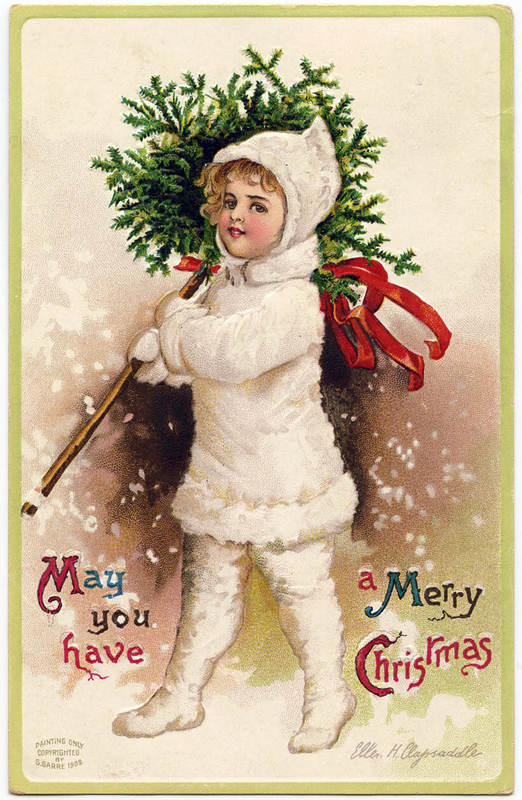 First up we have this Nostalgic Adorable Girl Christmas Cheer Snow Girl Postcard! This one features an adorable chubby-cheeked little girl wearing a white fur coat and red hat smiles as she looks upward. She is holding a large bouquet of red and green holly. Her white tights wrap over her shiny black shoes. 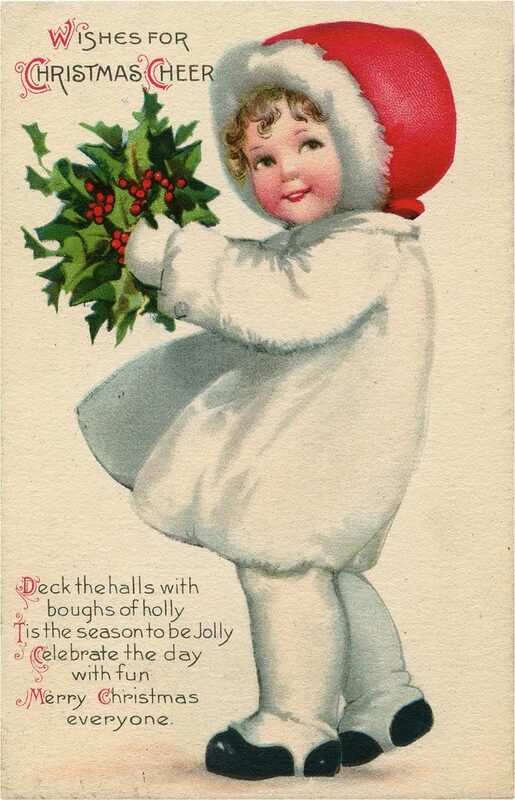 The postcard reads, “Wishes for Christmas Cheer” and has a verse from Deck the Halls that finishes with “Merry Christmas everyone.” The card is Circa 1917 according to the postmark on the back. Next up we have this Darling Christmas Snow Girl Picture! Shown above is a sweet little Girl all Dressed in White with Fur. She’s bundled up for Christmas Snow! She appears to be the sister of the little girl above. 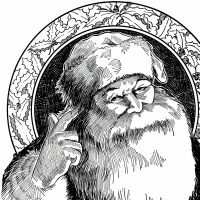 The greeting on this card reads “May every Joy that’s seasonable, And every wish that’s reasonable, Be granted you this Christmas Tide. So sweet. 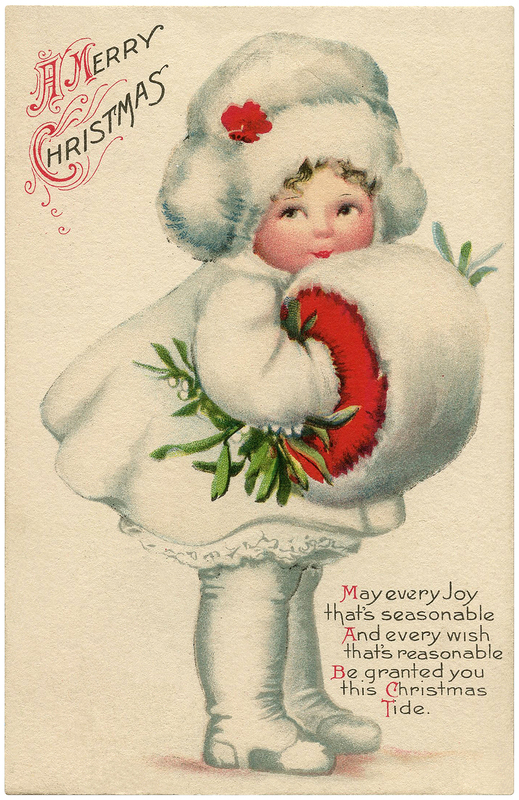 This is a lovely little Antique Christmas Postcard! This illustration is by Ellen Clapsaddle. The card shows a dear little Snow Girl carrying a festive looking Holiday Topiary with a big red bow! She’s all bundled up in her white fur trimmed suit and matching hood. And it’s a good thing too because it looks like it has started to Snow. So nice for your Handmade Christmas Cards! Lastly we have this Antique Snow Boy Picture! 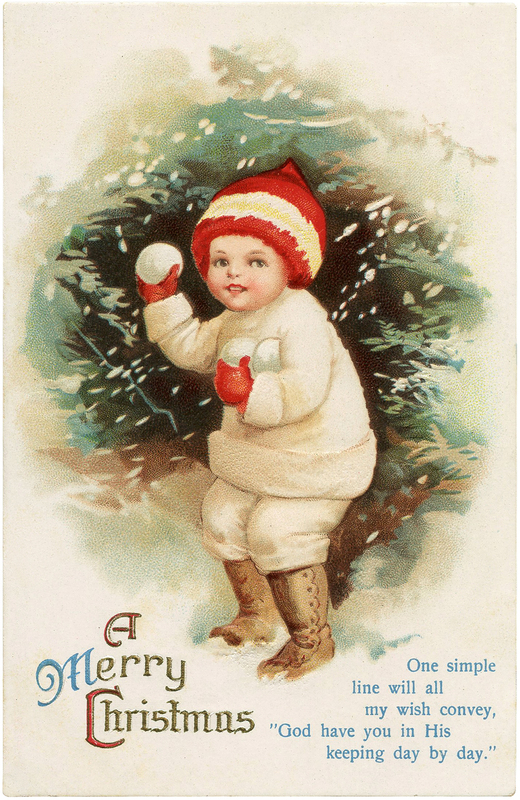 Shown above is a cute old Christmas Postcard featuring a a darling little Boy, with a Red Knit Cap. He’s got 3 Snowballs in his arms that he’s about to throw at someone. The sentiment reads “One simple line will all my wish convey, God have you in His keeping day by day”. The card is marked Dec 1912 on the back and was originally given to a little boy by his Grandma! I hope you enjoyed this sweet collection of snow children. I will add more to this collection in the future as I find other pictures that relate. You might also like our 100+ Best Christmas Images HERE. 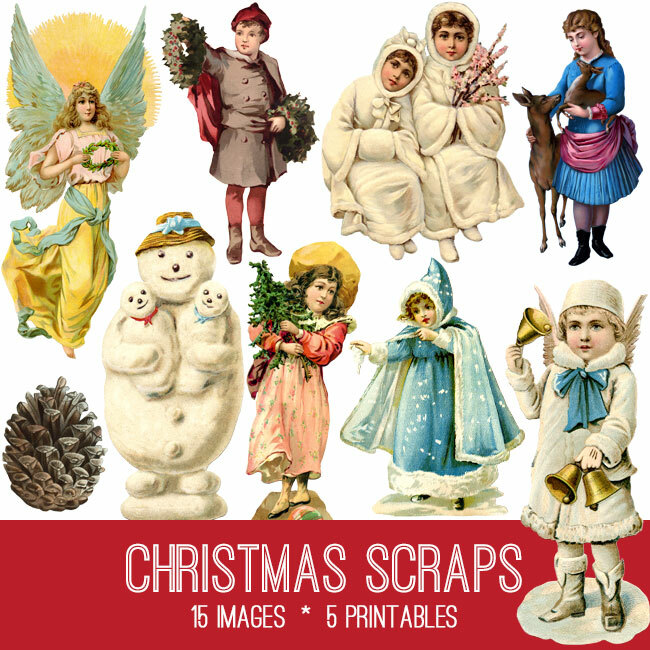 Be sure and check out our Victorian Christmas Scraps Kit HERE from our Premium Membership Site! Aww, this is sweet. I actually have a fur muff that was my great grandmother’s. It is quite beautiful. This one is adorable. Thank you. You are so welcome TerriSue 🙂 I agree with you, she is adorable!! These are all adorable – absolutely precious!